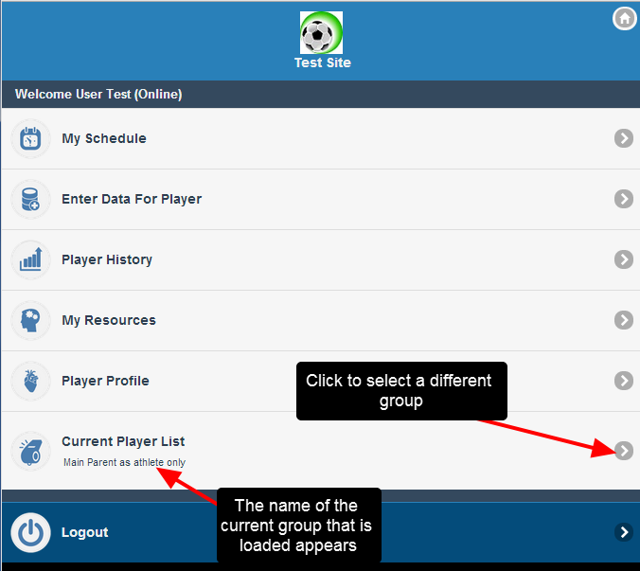 Users can change between groups on the mobile application when they are online. 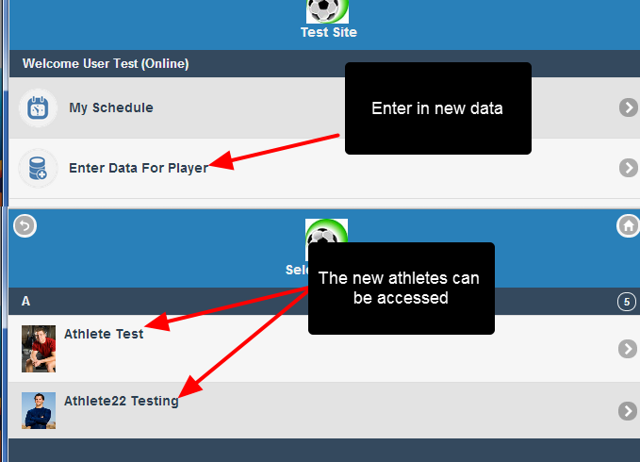 Please keep in mind that data needs to be stored on each device, so ensure that only small groups of athletes/users are loaded; loading hundreds of athletes who have thousands of records entered for them is NOT the recommended workflow for the mobile device. N.B. 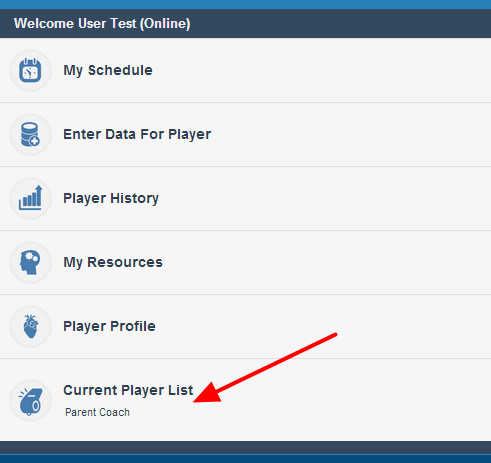 The change groups functionality will be available shortly on the online Apple iOS applications. 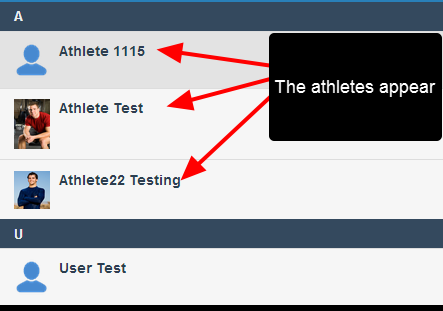 This will not work in offline, and only the most recently loaded group will appear for offline entry and review. 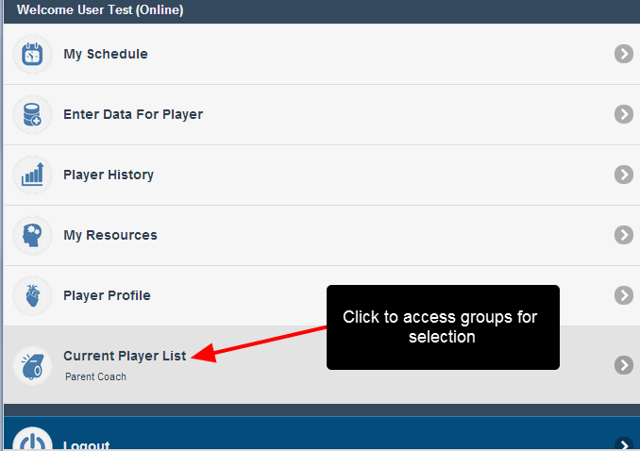 Any Groups that you access on the main application are accessible on the Mobile application. 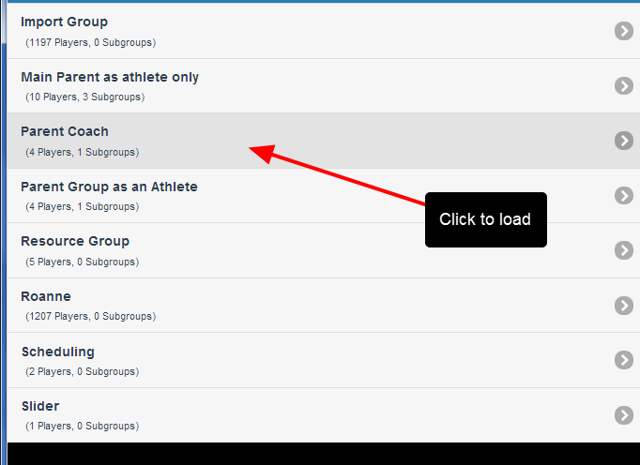 However, please choose to load groups that are an appropriate size. 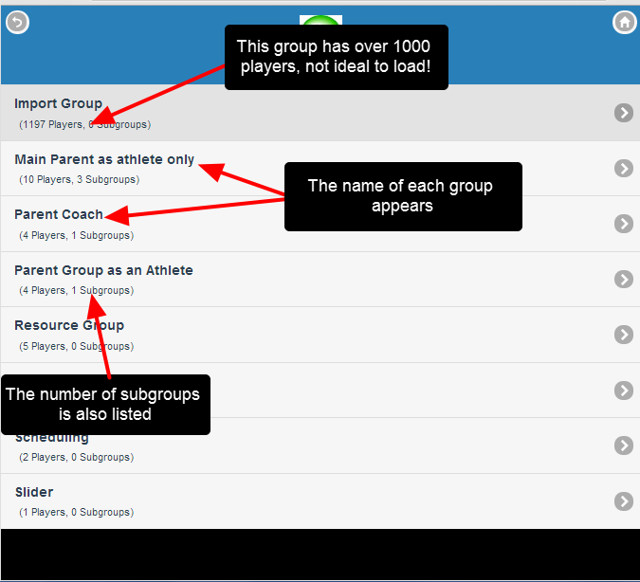 The Group selection is exactly the same as on the main application. 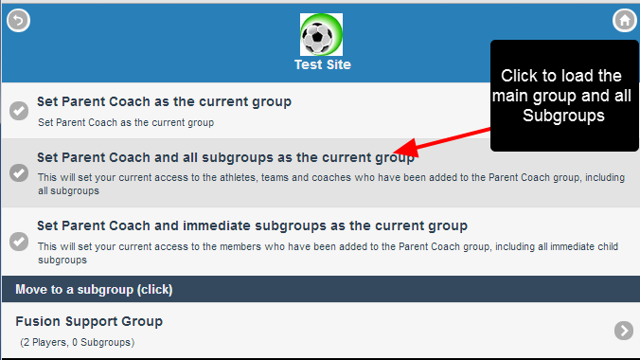 Click to load the group, and any subgroups, according to your requirements. 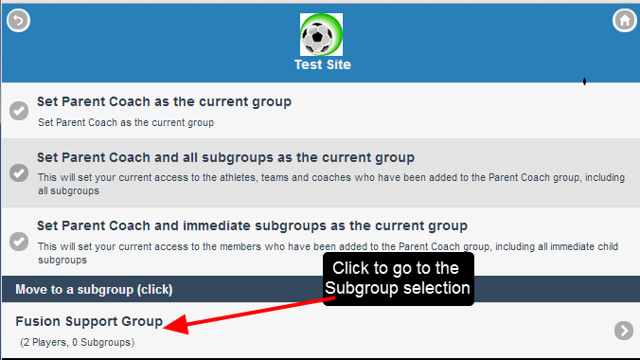 To load only a subgroup, click on the name of the Subgroup. 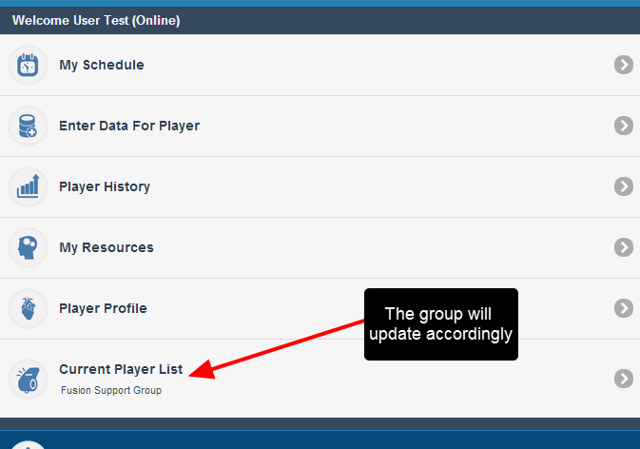 The selected group will be displayed.